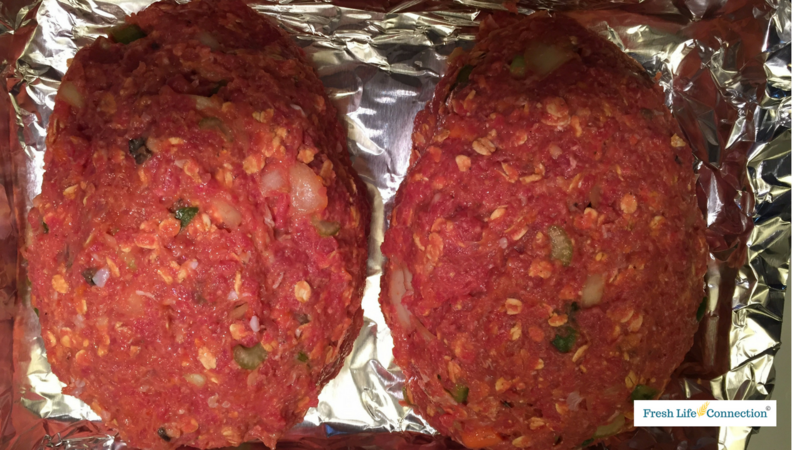 Meatloaf is such a good food, you can make it so many different ways. When my girls were little I would hide vegetables wherever I could to make sure they were getting all of the different nutrients their growing bodies needed. I use only the freshest meats, grains and veggies I could find. I do add canned mushroom soup to the mix but most of it is all good for you stuff. Give this recipe a try the next time you are looking for a quick, easy and inexpensive dinner. I make two loafs and freeze one (if there's any left) or keep it for lunches and snacks. I Am Carrying An Extra 42 lbs Around... What! Why? Could You Be Carrying Around an Extra 42 lbs and Not Even Know It? Yes, yes you could be. It doesn't seem right a person could be carrying around 42 extra pounds and not even know it! But it is happing all around us every day and it could be happening to you. No, it's not from body fat either! 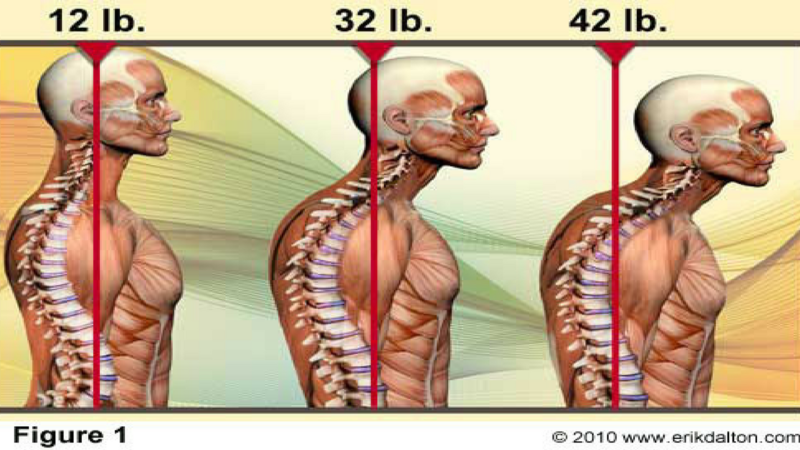 Most American's have some form of 'forward head posture' due to poor posture in general but mostly due to working at a computer, sitting in front of a TV or looking down at the phone. 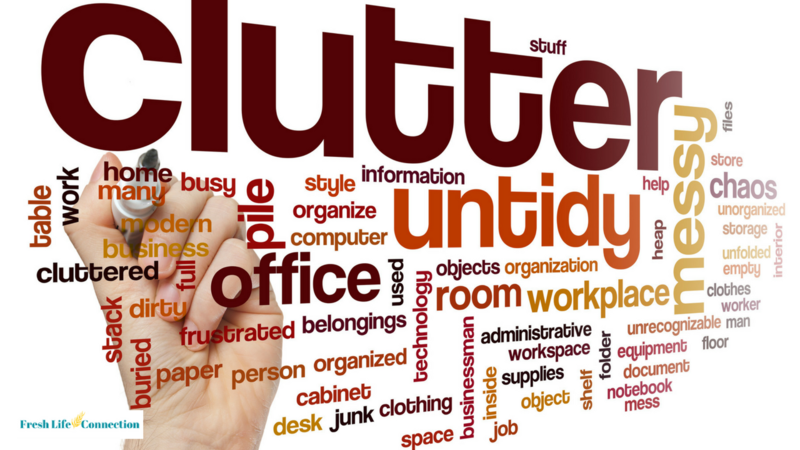 Princeton University Neuroscience Institute has been doing research on how clutter affects our mind and productivity. What they've learned is worthwhile hearing about. Multiple stimuli present in the visual field at the same time compete for neural representation by mutually suppressing their evoked activity throughout visual cortex, providing a neural correlate for the limited processing capacity of the visual system. It's hard to focus if your surroundings have a lot going on. The clutter inhibits the brains' ability to process information. It distracts and confuses the mind. 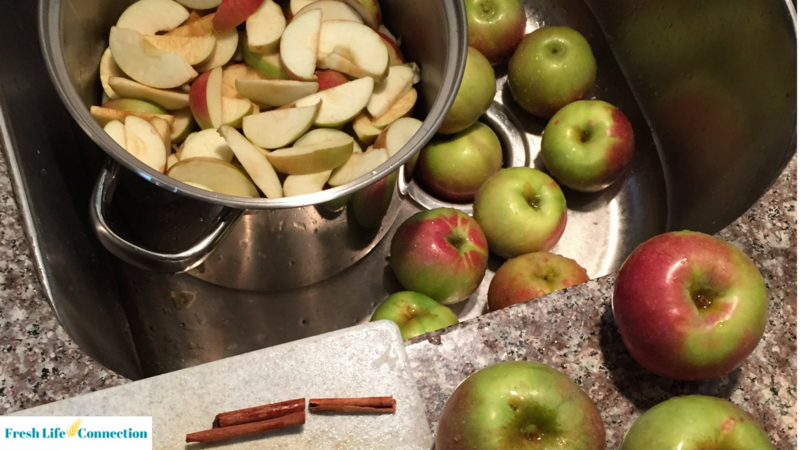 All Things Fall...But Especially Apples! Apples Mean Sauce, Butter, and Pies! YES! to all of the above! My mom and grandma are great bakers...I, however, did not get the baking gene. Which is really ok with me since every time I eat baked goods I see it on my belly the next day. But...I still like to eat apple pie, applesauce and apple butter now and again, which is why I wanted to healthy up these fall comfort foods. Each apple is packed with vitamins, minerals, fiber, important antioxidants, and flavonoids. The phytonutrients and antioxidants in apples may help reduce the risk of developing cancer, hypertension, diabetes, and heart disease. 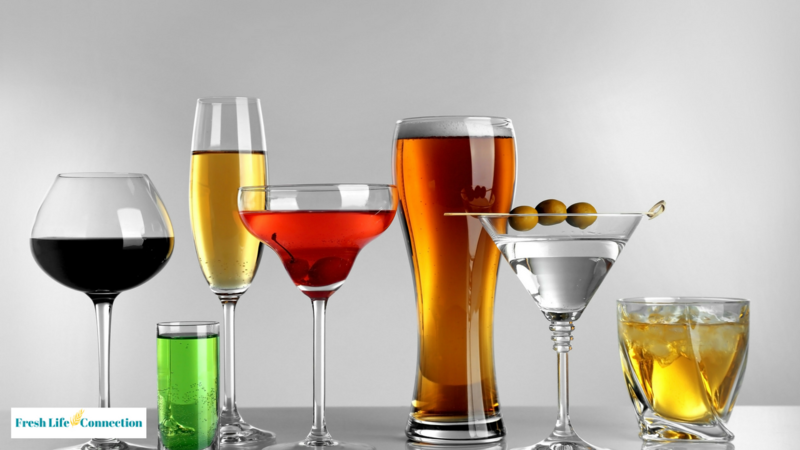 1 Gram of Alcohol Has Almost The Same Calories As PURE FAT! I debated on putting it out early last week but I thought this information would be received better if you could ease into the idea of how many calories there are in one alcoholic beverage. I'm not a big drinker of alcohol...probably because I'm too much of a control freak, but that's a whole different post. lol, I am aware however of those sneaky calories being hidden in all sorts of beverages but this information surprised me too! Did you know that a glass of wine can have the same calories as four shortbread cookies? How about a pint of lager – surprise! It has around 180 calories nearly the same calorific equivalent of a slice of pepperoni pizza? Whaaatt!!!?? So here's the skinny on why calories from alcohol are so fattening. Want to feel great throughout the whole day? Ya! Sign Me Up! We all know when you feel good you look better, when you look better you act better and how you act gets translated into how you carry yourself. Doing these 4 simple stretches before getting out of bed each morning can improve how you feel and build your confidence. The way you carry yourself is central to how you move through your day. When you have a flexible body you have a flexible mind. Little things don't seem to bother you and bigger things can be given the response they need instead of reacting out of frustrations or old habits. Give these stretches a try each and every morning for the next 30 days. Be sure to write down how you feel in body, mind, and spirit before you start on day 0. Then reassess on day 15 and finally on day 30. The days are getting shorter and cooler. The kids are back in school and all of their activities are in full swing. Who has time to cook a hearty comfort meal? 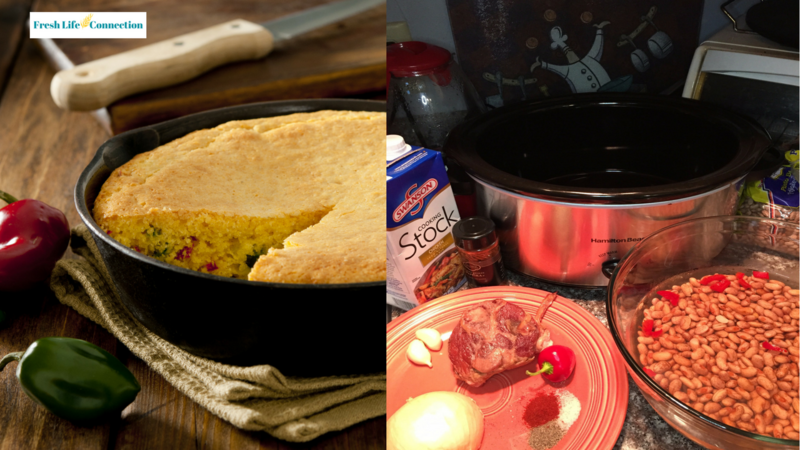 Bean soup and corn bread are a family favorite around here. It's easy with 6 ingredients or less. It's inexpensive because you are only using half of most of the ingredients and it's quick because you put it all in a crock pot and go! When you get home from work, mix up a box or two of Jiffy's cornbread mix plop it into the oven and wha-la...dinner! As with most meals, it's easy to make this for anyone's tastes. It can be vegetarian it can be made with beef, chicken or pork. Cooking is a chance to be creative, try different spices add a veggie here and there to healthy it up and have fun making new recipes your family will ask for again and again. Want a quick and simple yet elegant meal in 30 minutes or less? This recipe will be a hit for anyone unless you don't like pasta...which I've never met that person. This recipe can be modified to fit anyone's taste. 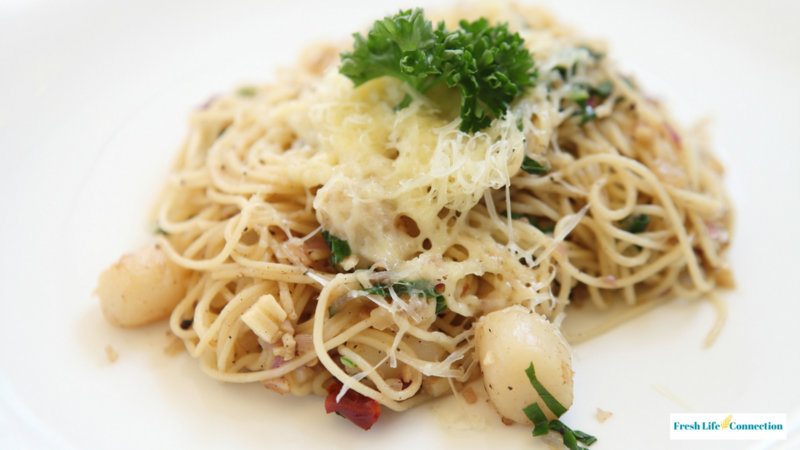 Whether you like shrimp, scallops, chicken or just pasta. It is so easy and when you serve it up people will think you've spent all day making this delicious meal for them. And the best part is it's good the next day! That is if there is any left! Give this recipe a try and it will speak for its self! Ingredients vary in amounts depending on how many you are cooking for. This is for 4-6 adult servings. Cook pasta according to package and set aside; you can use your favorite like linguini, penne, angel hair. I often use a wheat alternative like quinoa pasta or one made from artichoke flour. Reserve 1/4 cup of the pasta water. 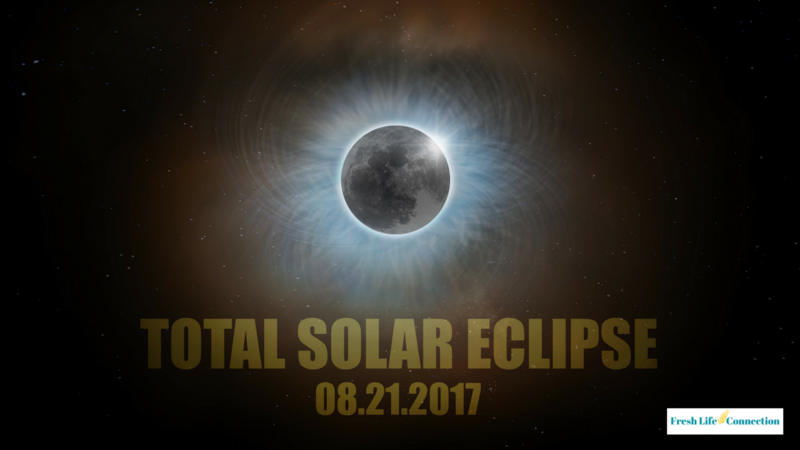 Are you as excited as I am about the solar eclipse coming this Monday 21st? My glasses at the ready I have my place picked out, depending on the weather and I'm looking forward to a thrilling two minutes. Haha, it seems funny to put such effort into two minutes, but I really am looking forward to experiencing this eclipse! Have you looked at any of the photos that have been taken from past solar eclipse? They are beautiful! I am very hopeful to see something like these. http://www.skyandtelescope.com/online-gallery/solar-eclipse-pictures/. If you scroll down you'll see several awesome photos. My favorites are from 2008 and 2016. I especially like 2016 in Indonesia. 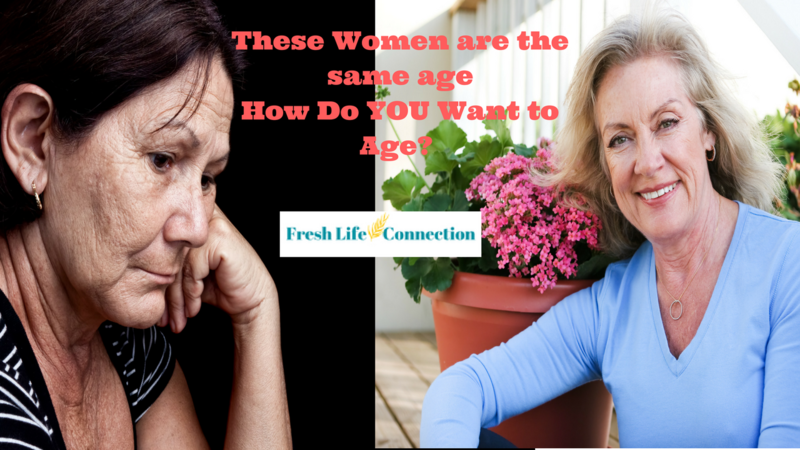 How Do You Want To Age? Let's face it. Each day we are another day older. Time goes on and we can't do anything about that...or...can we? I say YES WE CAN!! Ok, I know I can't really stop time, but I do believe I can age much slower. It has been proven again and again for many years that we are what we eat. We have been shown how eating refined sugars will age us faster, I've read that consuming refined sugar rusts our body from the inside out!! YIKES! Now that's a visual that stuck with me. We have been hearing more about how processed foods are very low in the nutrition we need to stay vibrant and healthy. Your kitchen is waiting and wanting to be your friend, maybe even one of your best friends. We are excited you've decided to join us in understanding the ends and outs of cooking at home. COOK! Easy, Quick & Healthy Meals course has just what you need to put yummy healthy meals on your table. Typically within 30 minutes!! and give your family a happier and healthier future. There is something for everyone in this everyday food recipe ebook! Your Moods, Are They Regulated In Your Gut? It's Better to DO Your Best...not be the best. You'll Never Need To Eat Unhealthy Again!